Item#: 8151 Closeout! Price Drop! 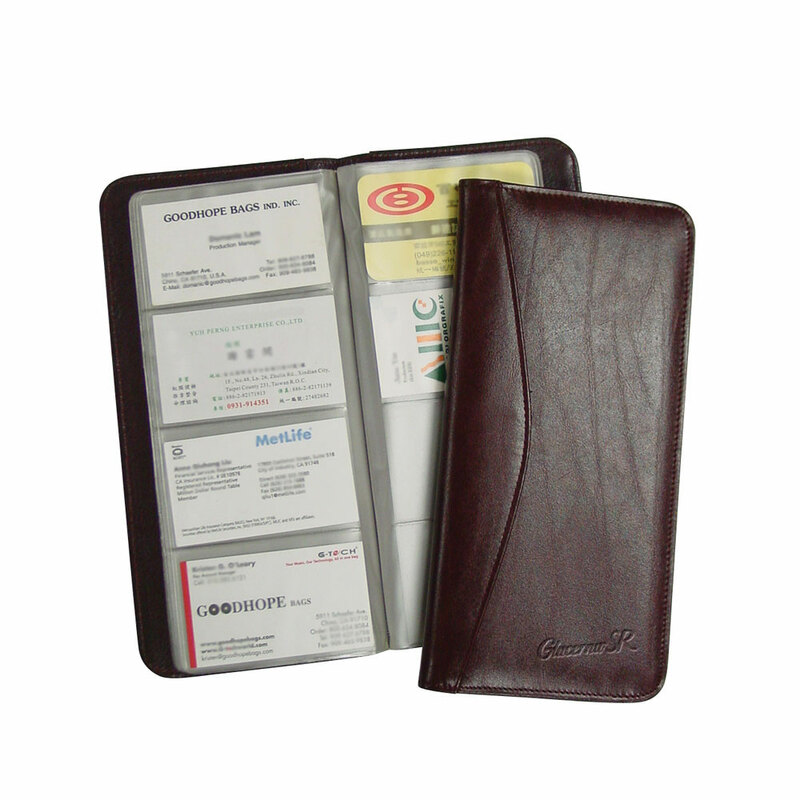 Made of shoulder grain leather, it holds 96 cards. Imprint: On front cover or inside cover approx.3 1/2" X 4"
Product Size: 9 3/4" x 4 3/4"
Pack Info. : 48 pcs / 30.00 lbs. Pack Note: (Actual Weight) / 16 1/2" x 11" x 13 3/4"